"'Be careful what you wish for, Mr?' 'Bond. James Bond'". The titular character is about to tackle his greatest mission yet in Skyfall. This twenty-third film in the James Bond series, produced by Eon Productions and distributed by MGM and Sony Pictures Entertainment. The film was directed by Sam Mendes. In the film, Bond's loyalty to M is tested as her past comes back to haunt her. As MI6 comes under attack, 007 must track down and destroy the threat, no matter how personal the cost. For 50 years, James Bond is one of the most enduring action characters in movie history. Since the first 007 film in 1962, his weakness for women, his brutal and violent capacity and his British sensibility had created one of the most successful if not the most critically praised film series in Hollywood history. The books have sold over one million copies and the films have been seen by over half of the earth's population. Bond's author (Ian Fleming) and his films' creators (Albert R. 'Cubby' Broccoli and Harry Saltzman) had created the ultimate male fantasy. James Bond was first created in the novel Casino Royale on February 17th 1952 in Fleming's house, Golden Eye, in Jamaica. With the intention to write 'the greatest Spy story to end all Spy stories.' But as sat and typed 2000 words every hour away on his golden typewriter, even he could not imagine the phenomenon that he was about to create. But how has Bond lasted for 5 decades? The spy himself has through several incarnations, starting with Sean Connery in the 1960s starring in 5 films. In 1969 after Connery's exit, for one film only, the Australian model George Lanzenby took on the role. After Lazenby's downfall, Roger Moore occupied the role in 7 films during the 70s. The mid 80s saw the continuation of the bond character with its fourth entry, Timothy Dalton. And after two films, in the 90s, the role was then occupied by Pierce Brosnan. Now in the 2000s, the role now belongs to Daniel Craig. Six actors in search of one character. The constant element in the films is the character himself from the novels and first fleshed out by Connery and his director Terrence Young in the first film Dr. No (1962). Then all the way into now Skyfall with Craig and director Mendes. In total the films had gone to gross over $6 million and still counting. For now Bond has been successful as he has ever been. The formula has lasted for 50 years and Bond's legacy is now, and will always be, intact. Mendes was approached to direct the film after the release of Quantum of Solace in 2008. Development was suspended when MGM encountered financial troubles and did not resume until December 2010; during this time, Mendes remained attached to the project as a consultant. The original screenwriter, Peter Morgan, left the project during the suspension. When production resumed, Logan, Purvis, and Wade continued writing what became the final version of the script. Filming began in November 2011 and primarily took place in the United Kingdom, with smaller portions shot in China and Turkey. The performances in the film were all brilliant and well casted. 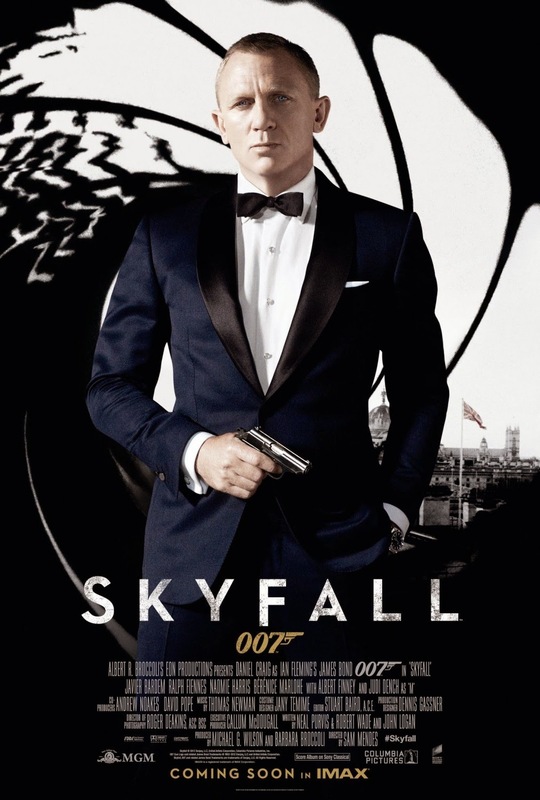 The film features Daniel Craig's third performance as James Bond, at the centre, Craig manages to get out of the shadow of the previous Bonds and finally brought his full potential to become the next great Bond. Craig had relaxed into Bond without losing any steeliness. I also should praise Daniel Craig for refusing to let Javier Bardem steal the show by matching Bardem's performance. Craig's brilliance is that, just by looking at him, we see the deep scars of hurt beneath his icy blue eyes, even before a slightly weird finale takes Bond into uncharted childhood 'back-story' territory and it all goes a bit Nolan-era Batman. Daniel Craig would usurp Sean Connery in defining the role of James Bond. Javier Bardem played Raoul Silva, the film's antagonist. I also have to praise Bardem's performance as the most authentically Bondian villain in decades. Dame Judi Dench, who played M took on the role as always with a brilliant, sardonic and tough nature. Ralph Fiennes as Gareth Mallory, whom I found to be an "interesting" character, delivered a unique punch to the story. Bérénice Lim Marlohe took on the role of the beautiful and enigmatic character, Sévérine. She played the role perfectly and had great chemistry with Craig, however I felt that her role was too small, much smaller than I imagined. Finney's performance as Kincade, the gameskeeper, was warm and rich in gravitas. Dark, complex and unforgettable, Skyfall succeeds not just as an entertaining spy thriller film, but as a richly thrilling cinematic saga. It is a haunting film that leaps beyond its origins and becomes an engrossing blockbuster. Like what The Dark Knight (2008) did for the comic-book genre, it redefines the possibilities of the spy thriller genre and the James Bond series. The film goes much deeper than its predecessor, with a deft script that refuses to scrutinize its hero with popular psychology, instead pulling the viewer in with an examination of Bond's psyche. The filmmakers move the film away from the spy thriller cinema and closer to being a genuine work of art, with Mendes' sophisticated direction and the gritty reality of Roger Deakins’ cinematography helping to create a world that has something raw and elemental within this franchise. Pitched at the divide between art and industry, poetry and entertainment, it goes darker and deeper than any Hollywood movie of its genre kind. Mendes has delivered the most accomplished, mature and the most technically impressive work to his career. The film is nothing short of brilliant. In the annals of sequels, the film is what The Dark Knight was to Batman Begins (2005) - it's that much better. To conclude, the film is a haunting and visionary piece of cinema. The film displays evident patience and intelligence to the filmmaking all over. It is not just a good genre movie or a good summer movie. It's a great movie, full stop. "Okay, you got 6 people hiding out in a town of what, 4 million people, all of whom chant "death to America" all the livelong day. You want to set up a movie in a week. You want to lie to Hollywood, a town where everybody lies for a living. Then you're gonna sneak 007 over here into a country that wants CIA blood on their breakfast cereal, and you're gonna walk the Brady Bunch out of the most watched city in the world." This is the premise of this declassified story of Argo. This thriller film starring and directed by Ben Affleck. The movie is based loosely on former Central Intelligence Agency operative Tony Mendez's historical account of the rescue of six U.S. diplomats from Tehran, Iran during the 1979 Iran Hostage Crisis. The film is about the dramatization of the 1980 joint CIA-Canadian secret operation to extract six fugitive American diplomatic personnel out of revolutionary Iran. The film stars Affleck as CIA specialist Tony Mendez with Bryan Cranston as CIA supervisor Jack O'Donnell, Alan Arkin as film producer Lester Siegel, and John Goodman as legendary make-up artist John Chambers. The cast gave strong performances. Affleck was interesting as the film's central protagonist Tony Mendez but I thought it was unusual or inaccurate to think that the actual figure was Latin American where as Affleck is an American with English, Irish, Scottish, and German ancestry. But the performance overall was brilliant. Alan Arkin as Lester Siegel was comical as always, going back to earlier films such as Little Miss Sunshine (2006) and Get Smart (2008). Finally John Goodman as legendary make-up artist John Chambers was fascinating and enjoyable as his performance brought a side to the figure that I myself never knew about. The rest of the cast were all superb and intense and deserve merits in their own ways. 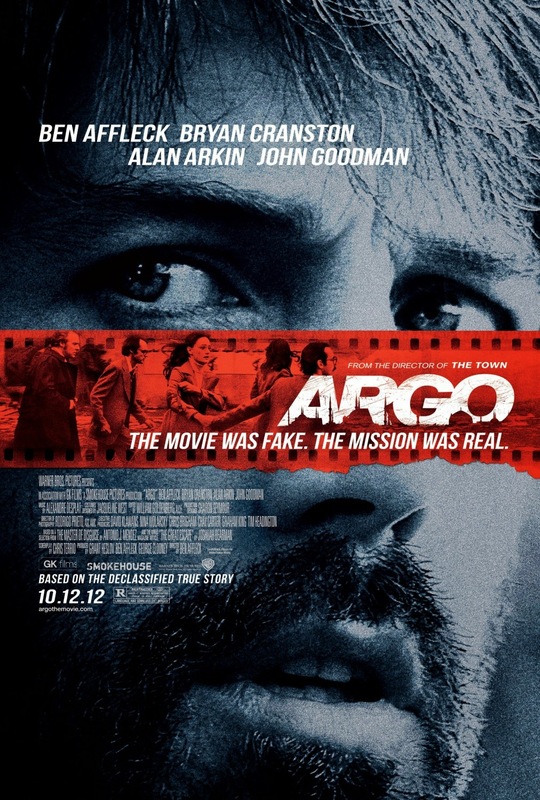 Tense, smartly written, and wonderfully cast, Argo proves that Ben Affleck is a director to be reckoned with. Ben Affleck proves his directing credentials in this gripping dramatic thriller, drawing strong performances from the excellent cast and bringing this untold story to the screen. The film’s intense action scenes convey an ideal balance between kineticism and clarity aided by Rodrigo Prieto’s cinematography and William Goldenberg’s editing.